This Niagara Falls Canada Day event will be a full day of fun that people of all ages can enjoy! Experience the spectacle of fireworks over the Canadian Horseshoe and American Falls every night at 10pm during the Canada Day weekend. 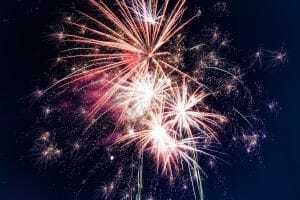 The fireworks can be enjoyed from a number of different spots, including a Fallsview room at the Crowne Plaza Fallsview, and will add a little excitement and fun to your Niagara Falls Canada Day celebrations. And don’t miss out on live performances from local Niagara musicians in Queen Victoria Park as part of Niagara’s annual Coca Cola Concert Series. Catch performances from Beth Moore on Sunday July 1st at 4pm and Blush on Monday July 2nd at 8pm, followed by fireworks at 10pm. Niagara Brewing Company on Clifton Hill. Celebrate Canada’s birthday and treat yourself to some delicious dessert with a Birthday Cake cone from Sweet Jesus ice cream shop. This signature cone features vanilla soft serve, cream cheese icing, birthday cake bits, and rainbow sprinkles, all served with a candle on top. Sweet Jesus is centrally located at the corner of Clifton Hill and Falls Avenue and offers a number of other inventive and delectable soft serve flavours like Bangin’ Brownie, Rocky Road Rage, Hella Nutella, Krusty the Kone, and more. Spend some time out on a patio with a refreshing beer this Canada Day at Niagara Brewing Company on Clifton Hill. 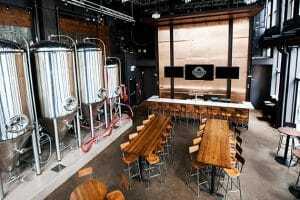 This amazing craft brewery offers four signature brews that pay homage to Canada’s brewing heritage and a number of seasonal brews on rotating taps that you won’t want to miss out on. And with two outdoor patios, a delicious food menu, and live music it’s the perfect place to celebrate Canada Day with friends and family. ← What’s New in Niagara?